Young Canadians are more connected, mobile, and social than ever. 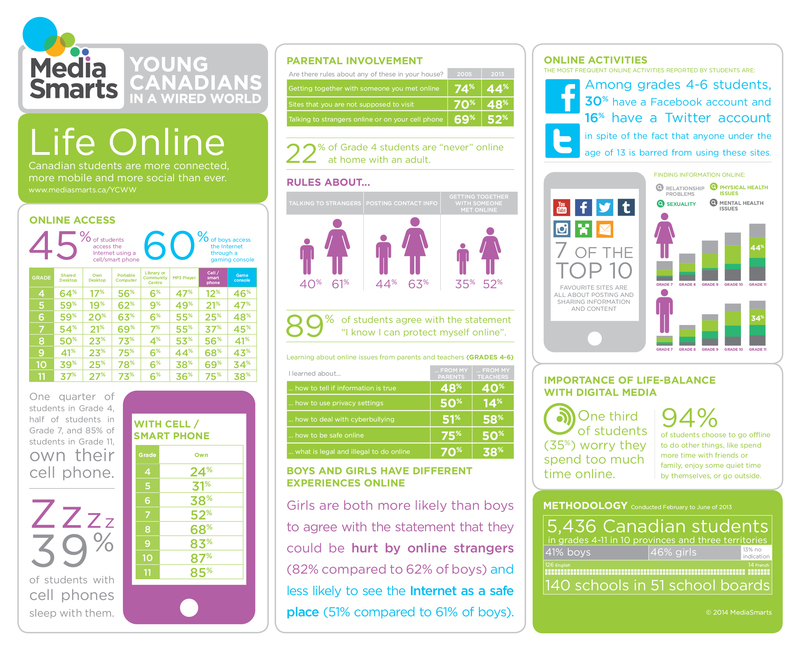 MediaSmarts, a Canadian not-for-profit charitable organization for digital and media literacy, surveyed over 5400 Canadian students grades 4 to 11. Life Online is the first report of its Young Canadians in a Wired World Phase III study that looks at the role of digital technologies in youth’s lives. The Canadian Mobile Bill of Rights protects users and sets rules for wireless services. The new bill allows customers to unlock their phones after 3 months, cancel contracts without facing penalties, receive roaming notifications, and a lot more. The bill is an attempt to respond to the opinion of mobile users that the industry has to change. Customers demand mobile freedom. No more arbitrary and other fees! Clear and plain language should be used to explain fees and services. Remember the customer who got a $1,400 bill after his son used a presumably free texting application? That’s just not right. Under the new bill, Canadian consumers cannot be charged extra for mobile services that are advertised as unlimited. And your contract must include a summary of about 2 pages, not 52.